Set in a grim, grey, arid urban landscape where ‘Nothing grew. Everything was broken. Nobody smiled’, a girl (the story’s narrator) lives by stealing – until one night her surprisingly strong, old victim will not let go of her bag before she has extracted a promise from the girl to ‘plant them’. The girl doesn’t understand or care what the words mean but she promises, just to get the bag: and from that moment her life changes, for the bag is full of acorns, and by keeping her promise she brings hope into her own life and indeed to all around her… And there is an inspired and inspiring twist to the ending too. The Promise is a beautiful fable for our times, told simply in poetic prose that stays with the reader and acts as a lozenge rather than a hammer for the book’s strong environmental message. As well as being a call to action and change, it offers hope for the future and a reminder that there are always people who are quietly and unobtrusively committed to making the world a better place, and that their actions have a knock-on effect in inspiring others, even if it takes time for results to percolate: not to mention the rewards that can be reaped from keeping a promise. The illustrations capture the contrasts between the bleak, grey, hopelessness and the vibrancy of the future where those seeds of hope are planted. The green dots of the acorns expand into still tiny green seedlings, and then there seem to be trees sprouting everywhere: from tin cans, pavements, water hydrants… Birds reappear and rain returns ‘like a blessing’. People start to talk to each other. The narrator never stays long enough in the same place to see these long-term effects, and the illustrations convey the global nurturing that her actions embrace, with depictions suggestive of archetypal Middle-Eastern and Asian as well as Western cities. 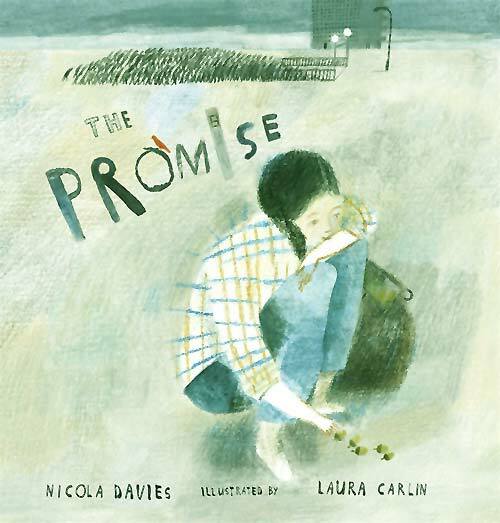 The Promise was nominated for the 2015 CILIP Kate Greenaway Medal and was selected for USBBY’s 2015 list of Outstanding International Books. The book has its own website, where I wasn’t surprised to learn that the story was inspired by Jean Giono’s The Man Who Planted Trees (1953), for I was reminded of that too. In fact, the stories complement each other beautifully, both highlighting the transformative power of trees, The Promise set in an urban and the other in a rural landscape (and I would so love to see an animated narration of The Promise along the lines of The Man Who Planted Trees). On the website there are also links to readings of the book, as well as how to act on its message to get out there and plant trees. 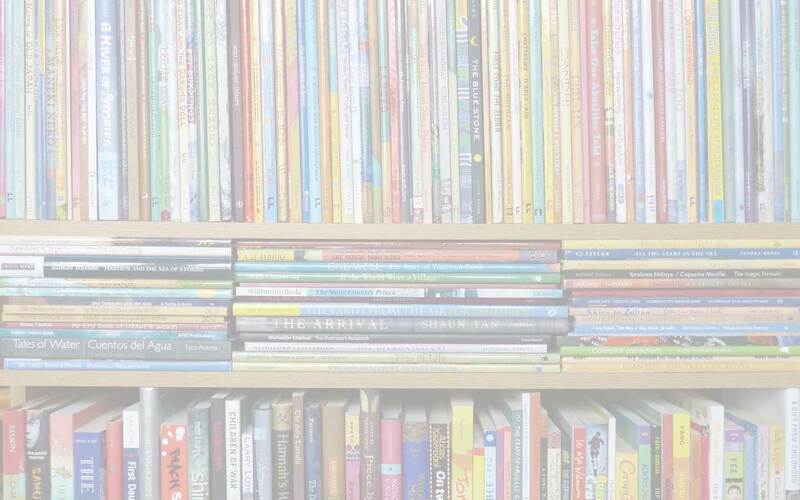 'Branching Across the World: Trees in Multicultural Children's Literature, children's books about trees, Laura Carlin, MWD book reviews, Nicola Davies, The Promise, Walker Books. Bookmark.